The Tarpon is a large shiny silver colored fish with a green or bluish back and large scales that cover their entire body, except for their head. Tarpon have a broad mouth with a lower jaw that juts out and up in a unique and distinct way. Their eyes are large and have an adipose eyelid. These fish also possess the unique ability to gulp air from the surface directly into their air bladders which seems to give them a burst of energy. This ability to “roll” and gulp oxygen also allows them to enter water that is almost devoid of air and lacks the number of predators other areas may possess. What are other names for a Tarpon? The Tarpon is often referred to as the Silver King. Tarpon are well known for their impressive size and adults 4-8’ are frequently found in some of the best fisheries. In Texas, the record is 91 inches, and 210 lbs. Tarpon are found throughout the Atlantic, and it seems that their prefered areas to frequent is determined more by water temperature than any other factors. Ideally, they prefer 72 to 82 degree water and under 60 degrees they will become inactive. Due to the fact that they are not considered valuable as a commercial table fare, very few studies have been done to determine their migratory habits and geographical distribution. These fish are adaptable and can tolerate a large variety of salinity and oxygen levels. Adult Tarpon are usually found in the offshore waters of the Gulf, but can be founding moving up rivers that empty into the Gulf. 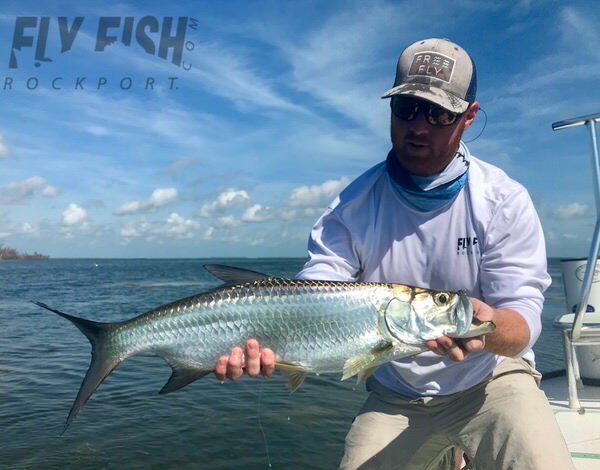 During the summer and fall months, Tarpon can be found moving throughout the waters fished by Fly Fish Rockport. Adult Tarpon primarily eat fish such as mullet, sardines, and other baitfish. However, they are known to eat anything that fits within their carnivorous diet, which can include mollusks, crabs, woms, and shrimp. 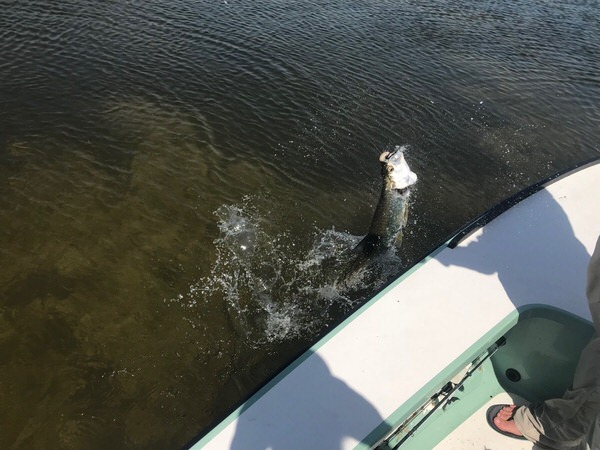 Are Tarpon targeted by anglers? 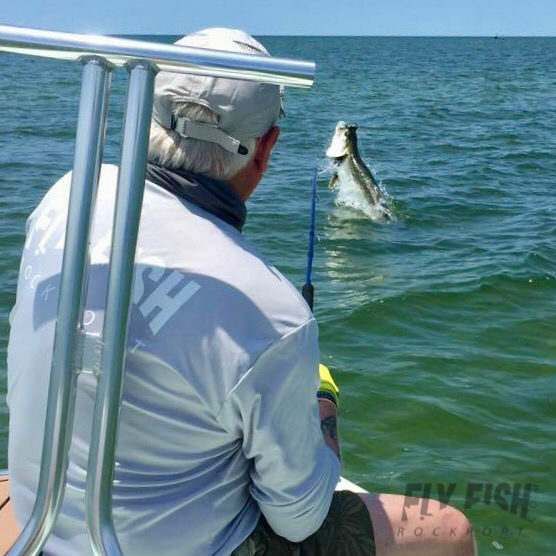 It is said that Tarpon are one of the first saltwater species to be declared a gamefish, and for good reason. They are known for their ability to leap from the water and put on a terrific fight. Their strength, stamina, and fight ability make them a premier gamefish well worth the effort.